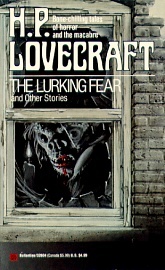 The Lurking Fear and Other Stories. By H.P. Lovecraft. New York, NY: Ballantine Books; 1971; ISBN 0-345-32604-0, Paperback. This book may be purchased in paperback from Amazon.com or Barnes & Noble.